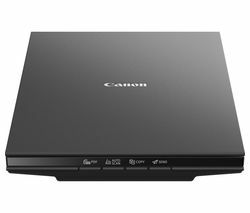 A good quality scanner can make the difference between a grainy photocopy and a high quality colour copy, and with many models at great value for money it makes an ideal addition to your home computer setup. There are three main types of scanner; flatbed, document and photo. For an all round option, a flatbed scanner is best, as it can copy photos and documents in colour and is especially good for anything delicate as you simply place the paper down onto the flatbed. Document scanners benefit from being small enough to carry around, making them great for business on the move. And if you’ll mostly be copying photos rather than pages of text, a photo scanner is the obvious choice, as they come with superior resolution and clarity. 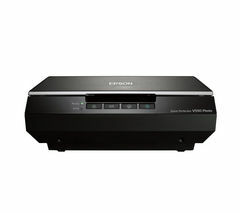 The Epson scanner range has a good number of options, such as the Epson V370 Perfection flatbed scanner for under £100 with 4800 x 9600 resolution and negative film scanning technology. If you’re looking for a photo scanner then the Perfection V550 photo scanner, with 6400 x 9600 dp and a scan speed of 31 seconds should fit the bill. Whether you’re investing in, or upgrading, a whole home office or simply adding a new bit of kit to your home you’ll find all the equipment you need with our printers, scanners and ink to turn your home work station into an office to envy.